The Flight Deal | Delta: Chicago – Shanghai. $831. Roundtrip. All-in. Delta: Chicago – Shanghai. $831. Roundtrip. All-in. 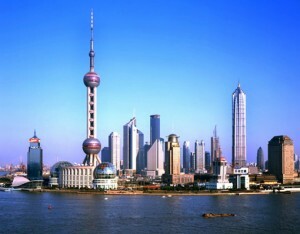 Shanghai was once the most prosperous city in the Far East in the 1930s. After decades of being closed to the world, in the 1980s, the Chinese government made Shanghai the Financial Center for China. Now it is reasserting itself the city of the Far East but also the globe. In a span of 20 years, the Shanghai city government have build a new city (Pudong) that is bigger than the old city. To assert its importance in China and the rest of Asia, it hosted the 2010 World Fair. Go and see the resurgence and the history before it become just a city of new buildings without any historic context.. and eat some soup dumplings while at it. 14,732 miles or 5.6 cents per mile. 14,732 is more than a 1/2 way toward a domestic reward ticket. Remember to collect your miles. Visa is required for US Citizens. $140.